We listed up our recommendations for you ! 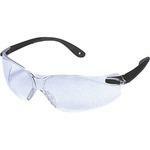 MonotaRO offers 3m safety glasses and more. You can buy them anytime from our Singapore online store. See more results of "3m safety glasses"
Want N95 Particulate Respirator 9211 and N95 Protective Masks ? Click Here. Want Safety Shoes and Safety Sneaker ? Click Here. N95 Particulate Respirator 9211 and N95 Mask and other special offers. 3M Masking Tape No.243 and 3M Masking Tape No.243J Plus and many other best selling products. Our recommendation, Japanese socks and Japanese Style Socks. N95 Mask and 8210 N95 and other alternatives.